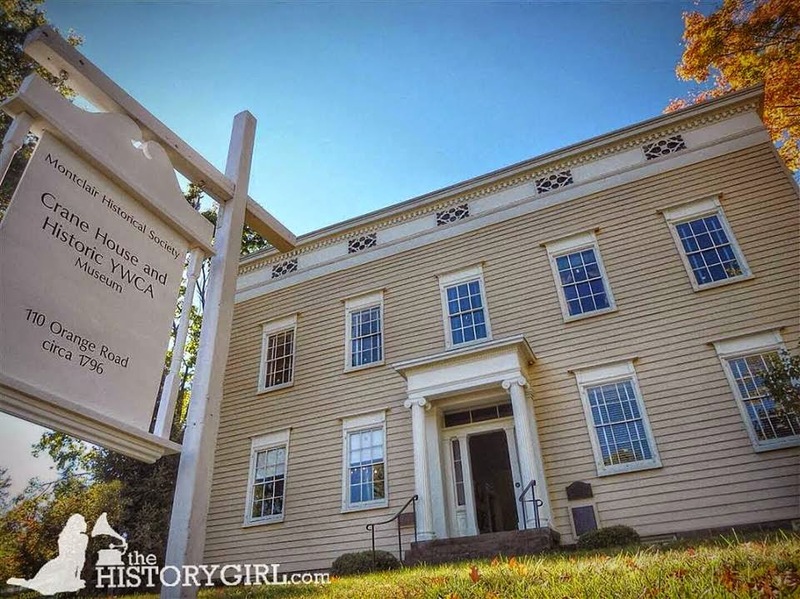 NJ Weekend Historical Happenings: 6/10/17 - 6/11/17 ~ The History Girl! Join us at the historic Abraham Staats House for a special Open House program on Saturday from 10:00 am - 12:00 noon. Featured will be blacksmith Dave (Sarge) Bala, who will be fired up "at the forge," demonstrating the art of blacksmithing and presenting information on this vital trade in the 18th century, including such topics as: Coal/Ore mining during the Revolutionary War, the iron tax of 1750, types of coal and uses, blacksmith's role(s), tools in Colonial times/war, apprenticeships, etc. Tours of the Abraham Staats House (c. 1740) will also be given throughout the morning program. The program is free; donations are appreciated. Following the June program, free tours of the house will resume beginning in September, every second Saturday of the month, from 10:00 am - 12:00 noon. 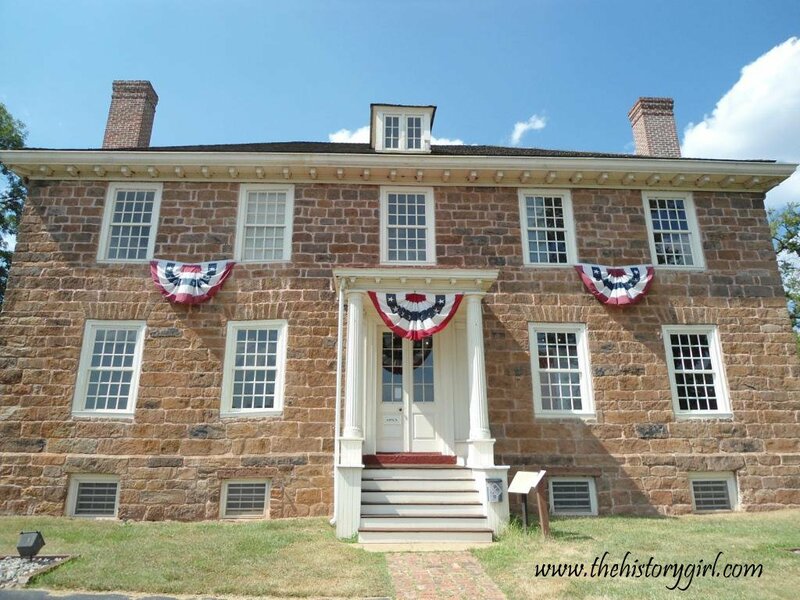 During the American Revolution, the home was owned by American patriot Abraham Staats and served as a military headquarters for General Baron Frederich von Steuben during the Middlebrook Cantonment, when the American army was quartered in the area in the winter and spring of 1778-79. The earliest portion of the house dates from around 1740, with later additions including a wing built c. 1830 by the Staats family, who owned the home for nearly 200 years. 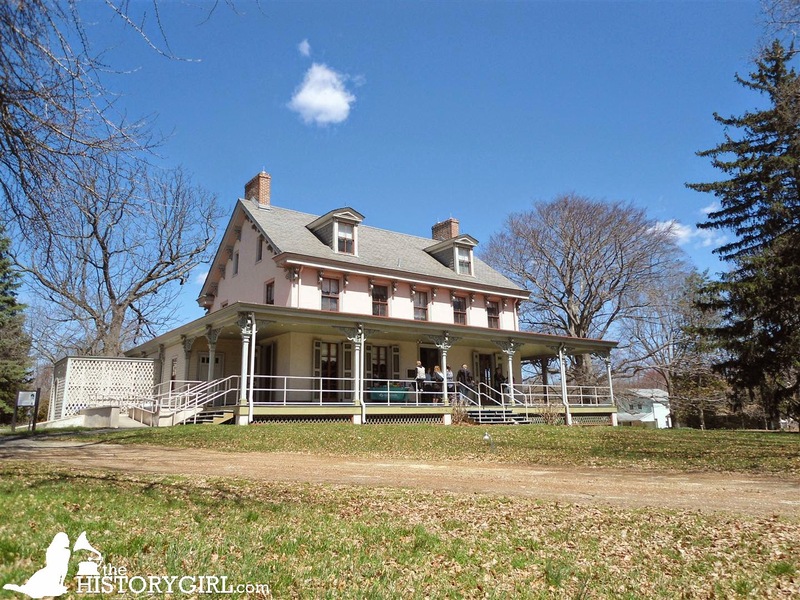 The South Bound Brook Historic Preservation Advisory Commission and Friends of Abraham Staats House, Inc. are dedicated to preservation of the house, which has been placed on both the State and National Register of Historic Places. Join the Friends of Long Pond Ironworks on Saturday as they walk through the Historic District. 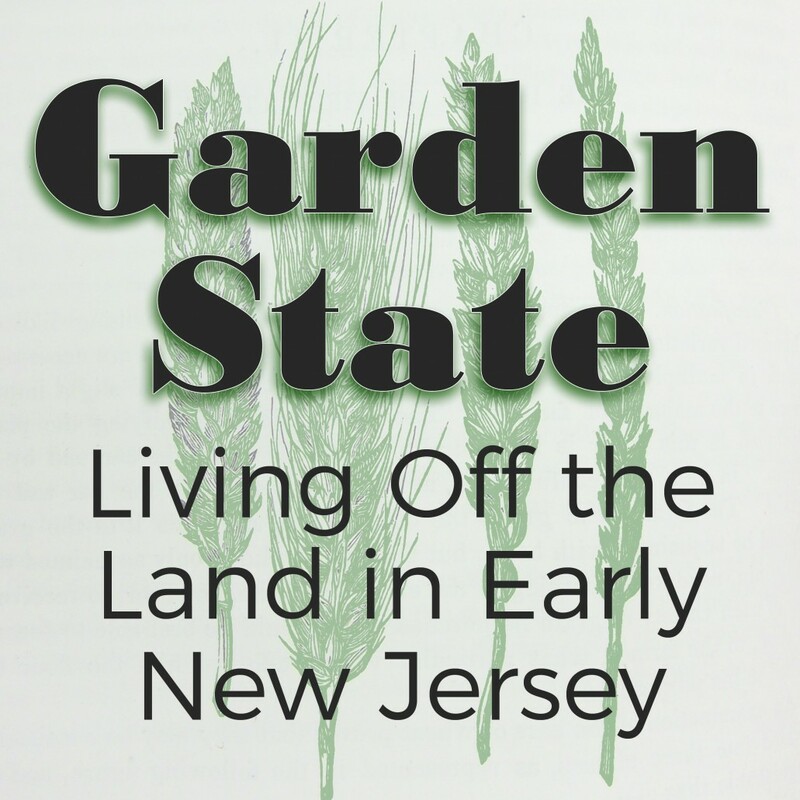 Learn how Long Pond contributed to the American Revolution, Civil War, and the industrial development of New Jersey. Tours last about two hours and follow a circular route through the historic village. Tours are conducted rain or shine, and attendees should wear clothing and footwear appropriate for a walk through the woods. Tours take place at 12:00 noon and 2:00 pm. Long Pond Ironworks is located at 1334 Greenwood Lake Turnpike, Hewitt, NJ. For more information, call 973-657-1688 or visit www.longpondironworks.org. Take a tour of the town from the vantage point of a woman who lived there in the early 20th century. Starting at 10:00 am in front of an upper-middle class home at 15 Prospect Terrace, you'll learn about Montclair's history, focusing on the late 1800s to mid-1900s, a period of great growth and change, as it would have likely been experienced by the family that lived here. The tour shines a special spotlight on a woman's experience during that time and typical activities and interests. A tour will also be given inside the First Congregational Church and the Montclair Women's Club, light refreshments served at the end. The walking tour is led by Montclair History Center Board of Trustee Helen Fallon and Manager of Audience Engagement, Angelica Diggs. Co-sponsored by Bike&Walk Montclair. Suggested donation of $10. Register by calling 973-744-1796 or send a note to mail@montclairhistorical.org. We'll be walking about a mile, including a viewing of the current Mills Social Services building gardens, ending at the Women's Club of Montclair. For more information, call 973-744-1796 or visit www.montclairhistory.org. 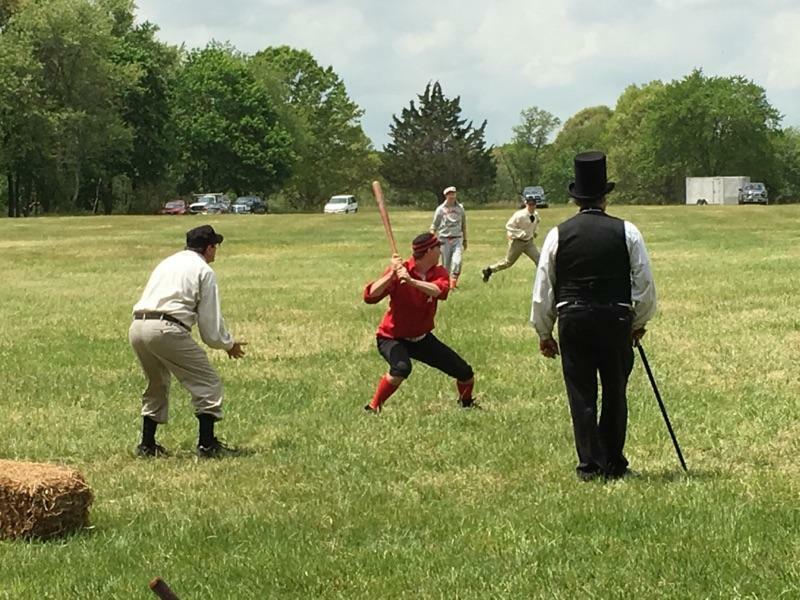 Two New Jersey "farm teams" will take to the field when the Mercer County Park Commission hosts its Annual Old Time Base Ball Game. The match-up features the Howell Farm Hogs vs. the Jersey Bulls, teams that play according to the rules that governed baseball in those early days when bats were made of axe handles and wagon tongues, and when pitchers (called "throwers") could be fined for delivering unhittable balls. The public is invited to watch or play in the game at Howell Living History Farm. Rules will be taught to prospective players during an ongoing practice period. Firefighting was different over 100 years ago when the Farmhouse burned down. Help pass buckets of water from person to person to show how fires could be extinguished. This program runs from 2:00 - 2:45 pm. The Tewksbury Historical Society and the Garden Club of Hunterdon Hills will host the first biennial Tewksbury Historic House & Garden Tour on Saturday from 10:00 am - 4:00 pm, rain or shine. Tour the 1st floor interiors of four historic Tewksbury homes plus 5 external gardens, ranging from flower and herb to vegetable gardens. Tickets are $40 per person in advance, $50 day of the tour, while available, with a limit of 200 tickets. Tickets are to be picked up between the hours of 9:30 am and 1:30 pm at Society Headquarters 60 Water Street, Lebanon, NJ 08833 (Mountainville section of Tewksbury Township). 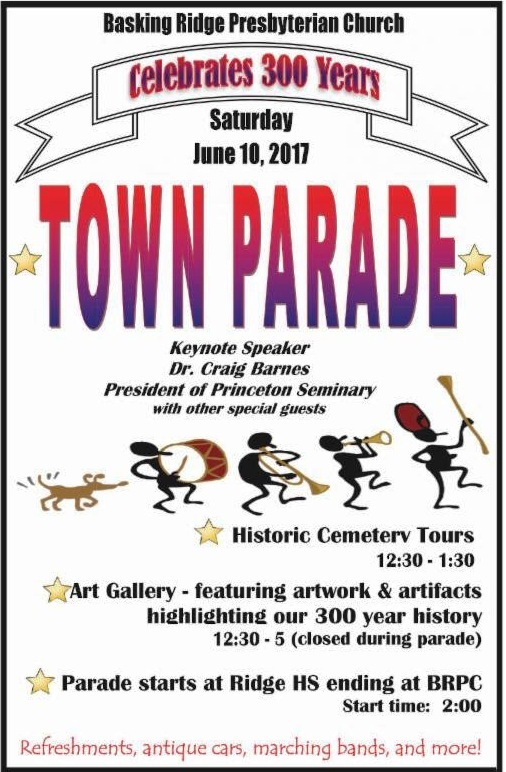 For more information, call 908-832-6734 or visit www.tewksburyhistory.net. 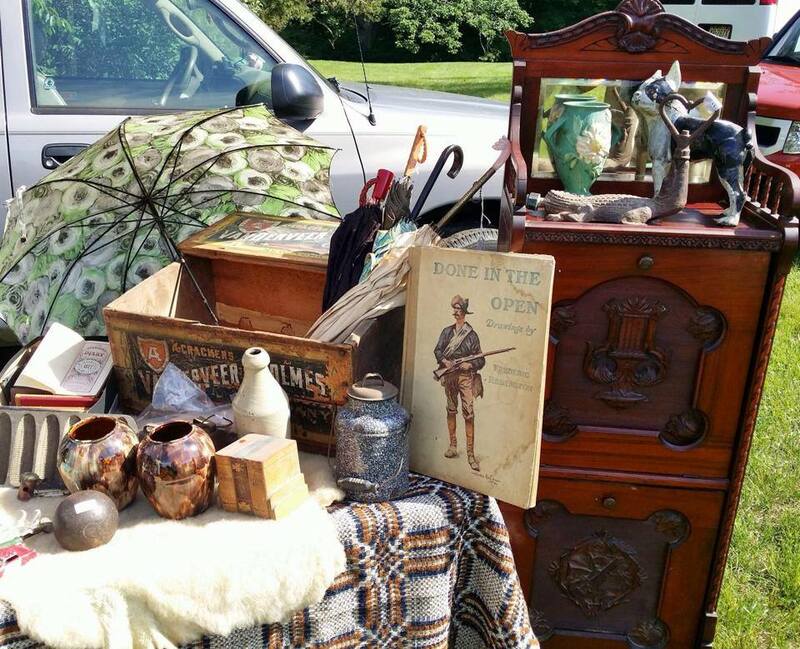 The Historic Village at Allaire is hosting a Summer Flea Market as a fundraiser on Saturday, from 8:00 am - 3:00 pm. The event is held in the Show Field of Allaire State Park. There is a $5 parking fee for this event. With more than 100 vendors displaying new, used, and collectible treasures of all types, there will be something for everyone. Shop all day, visit the on-site food vendor, or spend some time in the Historic Village. The General Store and Bakery will also be open beginning at 10:00 am. This event is a fundraiser, benefiting the historic and educational programs presented at the Historic Village at Allaire by the non-profit organization, Allaire Village, Incorporated. The rain date is Sunday, June 11. Come aboard the Cape May Whale Watcher to view and photograph seven historic lighthouses of the late 19th and early part of the 20th centuries. Most of these lighthouses stand on pedestals out of sight of land in the Delaware Bay and are still operational. Each 5-hour cruise includes narration on the history of each lighthouse and more. Includes continental breakfast buffet and Captain's Lunch buffet. A cash bar is available. Tour will be held Saturday from 10:00 am - 3:00 pm. Tickets $85 (adults) $70 (children ages 7-12). Co-sponsored by the Cape May Whale Watcher and the Mid-Atlantic Center for the Arts & Humanities (MAC). For more information, call 609-884-5404 or 800-275-4278 or visit www.capemaymac.org. On Saturday, visit Historic Longstreet Farm in Holmdel to watch Dorothy Gratton demonstrate the art of crochet and lacemaking in the Victorian era. This free event runs from 1:00 - 3:00 pm. The 2nd NJ Brigade brings the battle between the Blue and the Gray to life through camp life demonstrations, musket and artillery drills, mail call, bayonet drills, cannon firings, a medical demonstration, skirmishes, and much more at Historic Speedwell on Saturday and Sunday! Hours on Saturday are 10:00 am - 5:00 pm and Sunday 10:00 am - 4:00 pm. Admission: $7 per adult, $6 per senior, $5 per child age 4 - 16, FREE per child under age 4. Historic Speedwell is located at 333 Speedwell Avenue, Morristown. For more information, call 973-285-6537 or visit www.morrisparks.net. 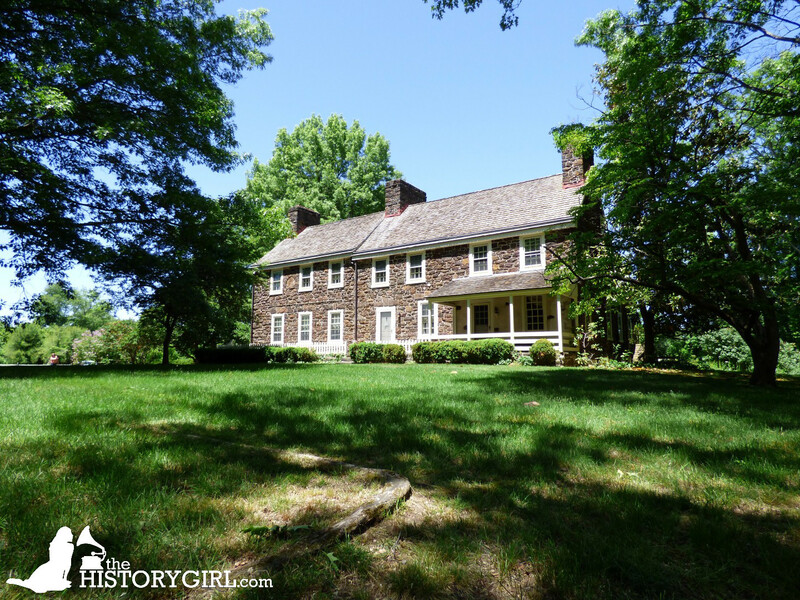 Visit the Rosenkrans House & Museum, one of the oldest buildings in Walpack Center. Volunteers from the Walpack Historical Society will be present to answer any questions you may have about the area and its history. The grounds at Walpack Center are open from dawn to dusk. 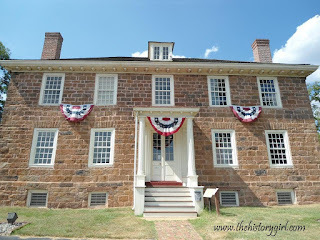 The Van Campen Inn was not a traditional inn, but a "yaugh" house in Colonial times, that offered shelter to travelers due to common practice of the times. It has a rich history, including playing parts in the American Revolution and the French and Indian War. The trailhead for the Military Road Trail also begins here. Volunteers from the Walpack Historical Society will be happy to answer questions about Van Campen Inn and the local history of the area. The open houses are made possible by volunteers from the Walpack Historical Society, and may be subject to their volunteer schedule. Call 973-948-4903 for any updates on their scheduled Sunday open hours. The Rosenkrans House & Museum and the Van Campen Inn are part of the Delaware Water Gap National Recreation Area. For more information, visit www.nps.gov/dewa. Stroll at your leisure through Millbrook Village on Saturday and Sunday from 10:00 am - 4:00 pm. Several buildings will be open and staffed with rangers and volunteers demonstrating traditional skills and reminiscing about 1800's life in the village. By 1875, Millbrook had reached a peak of 75 inhabitants and about nineteen major buildings. Today's Millbrook Village does not replicate the Millbrook of 1832 or 1900. Rather, it evokes the feeling of countryside hamlets where most of the nation's people lived until the end of the 19th century. Please take a step back in time and see how things have (or haven't) changed! Millbrook Village is free to tour. Millbrook Village is part of the Delaware Water Gap National Recreation Area. Millbrook Village is located in Hardwick Township, NJ at the intersection of Old Mine Road and Millbrook Road, County Route 602N. For more information, visit www.nps.gov/dewa. Stroll the shady lawns at Historic Walnford, weather permitting, to admire a dozen or so automobiles all made over 70 years ago. This free event runs from 11:00 am - 3:00 pm. While there, tour the large, elegant Walnford home built in 1774, the 19th century gristmill, and the farm buildings set in a beautiful landscape. Walnford is located at 62 Walnford Road, 08501. For more information, visit www.monmouthcountyparks.com. Cape May County residents enjoy free admission to some of Cape May's most popular tours and historic sites on Community Day! Climb the Cape May Lighthouse and the World War II Lookout Tower, visit the Emlen Physick Estate, take a Historic District Trolley Tour or Combination Trolley/Physick Estate Tour, or Mansions by the Sea Trolley Tour - free of charge. Show proof of county residency, such as driver's license, voter registration card, passport, or utility bill. Children under 18 need only be accompanied by an eligible adult. Community Day is sponsored by Sturdy Savings Bank and presented by the Mid-Atlantic Center for the Arts & Humanities (MAC). For more information, call 609-884-5404 or 800-275-4278 or visit www.capemaymac.org. In honor of National Flag Day, tours incorporate real flags from different periods of history starting from 1796 through 1945. Children will learn what states became part of our nation in different time periods, flag etiquette, and make their own windmill flag to take home. Admission is $10 per family and a family membership with the Montclair History Center gets you in free! The Crane House/Historic YWCA is located at 110 Orange Road, Montclair, NJ. For more information, call 973-744-1796, e-mail mail@montclairhistorical.org, or visit www.montclairhistory.org. The Erie Signal Tower in Waldwick will be open for tours on Sunday from 12:00 noon - 4:00 pm. The tower is located at 3 Bohnert Place, Waldwick, NJ. 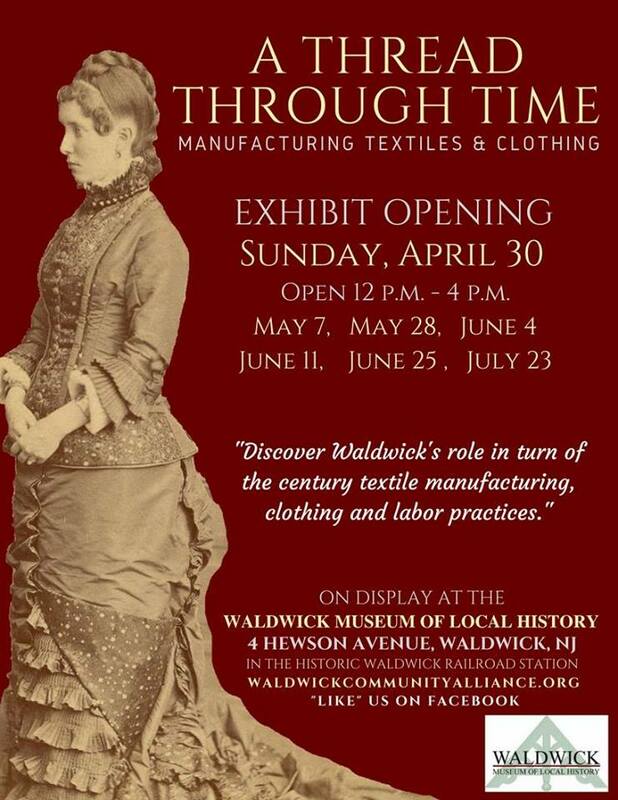 It can also be accessed via the Waldwick Museum of Local History via a pedestrian bridge over the railroad tracks and a short walk. For more information, visit www.allaboardwaldwick.org. On Sunday between 1:00 and 4:00 pm, the Roxbury Historical Trust will host an open house at the eighteenth century Silas Riggs Saltbox House, the historic King House and the King Store Museums. The sites are located at 213 Main Street in the Ledgewood Village section of Roxbury Township. 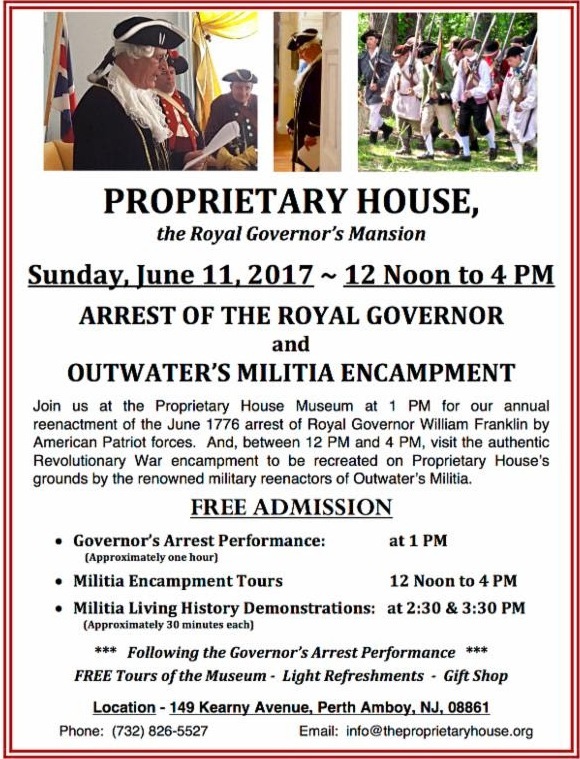 Tours are free and historic interpreters will be on hand. For more information, call 973-927-7603 or visit www.roxburynewjersey.com. On Sunday at 5:00 pm in Lambert Castle, CJSO on the Go is returning to perform as a part of the Lambert Castle Concert Series. Founded in 1970 as the Somerset County College Orchestra, in 2002 the CJSO re-organized as an independent nonprofit organization. CJSO on the Go is a Chamber music outreach program featuring members and friends of the Central Jersey Symphony Orchestra. Admission to the concert is $15. Seating is limited, no reservations will be taken. This performance is a part of the 2017 Lambert Castle Concert Series. Featuring local musicians and a variety of musical genres, all concerts are performed in the beautiful atmosphere that is Lambert Castle. Lambert Castle is located at 3 Valley Road, Paterson NJ. For more information, call 973-247-0085 or visit www.lambertcastle.org. Join the Salem County Historical Society for their FREE June Quarterly Meeting featuring a presentation by Salem County biologist, Autumn Angelus on Sunday at 1:30 pm. The lecture's focus is how different societies through time have used the region's natural treasures to live and thrive, from the Lenni Lenape up to today. Along with being a member of the Salem County Historical Society, Autumn is a Biologist with Salem County's Mosquito Control Department including leadership posts on the Alloway Township Environmental Commission and the NJ Mosquito Control Association. This presentation will be held at Friends Village, 1 Friends Drive, Woodstown NJ 08098. For more information, call 856-935-5004 or visit www.salemcountyhistoricalsociety.com. The 1864 version of America's pastime will be played on Sunday in Little Silver. That means catching the ball bare-handed, with no fielding gloves! The Monmouth Furnace Base Ball Club will take on another vintage team, the New York Mutuals, beginning at 1:00 pm in Sickles Park, 200 Rumson Road, Little Silver, NJ. The 17th century Parker homestead – which is one of the oldest residences in New Jersey and is on both the New Jersey Register of Historic Places and the National Register of Historic Places, will be open for tours from 10:30 - 4:00 pm. On display will be the collection of 1909 Caramel Candy Company baseball cards found in the Parker belongings along with Doug Parker’s 1925 Wilson baseball mitt. Food and refreshments will be available for purchase. Both events are free to the public. On Sunday at 1:30 pm, the Boonton Historical Society presents a Walking Tour of the Historic Residential District. In 1830 the first skilled ironworkers came from England to work in the Boonton Iron Works. They were guaranteed free passage to America, as well as generous wages and new homes for their families. This tour includes an external look at some of these homes and, if scheduling permits, a visit to one of the churches they subsequently built. The tour begins outside the Post Office at 501 Main Street, Boonton, NJ and there is a suggested donation of $5.00 for non-members. On Sunday at 2:30 pm, author David Baron will speak about his new book, American Eclipse: A Nation’s Epic Race to Catch the Shadow of the moon and Win the Glory of the World. The program will be held at the Laboratory Complex in West Orange. Seating is limited and Reservations are recommended. Reservations can be made by calling 973-736-0550 ext. 11. There is no fee for the program but regular admission to the park is required. Books will be available for purchase. This August, America will enjoy a rare celestial treat – the first total solar eclipse in 99 years to cross the country from coast to coast. As the nation prepares for this astronomical spectacle, author David Baron tells the little-known tale of Thomas Edison’s trip to Wyoming Territory in 1878 to observe a total eclipse. Based on original archival research, Baron reveals what lured the Wizard of Menlo Park to the Wild West, and he weaves the stories of other remarkable scientists who joined Edison on the frontier. David Baron is a journalist, author and broadcaster who has spent his thirty-year career largely in public radio. He has worked as an environmental correspondent for NPR, a science reporter for Boston’s WBUR, and health and science editor for PRI’s The World. Baron’s written work has appeared in the New York Times, Los Angeles Times, Boston Globe, Outside, Lonely Planet, and Reader’s Digest. His 2003 book, The Beast in the Garden, received the Colorado Book Award. An avid umbraphile who has witnessed five total solar eclipses, Baron has crossed the Americas, Europe, Asia and Australia to catch the shadow of the moon. The Thomas Edison National Historical Park Laboratory Complex is located at 211 Main Street, West Orange, NJ. Admission is $10.00, and includes the Glenmont Estate and the Laboratory Complex. For more information, call 973-736-0550 x11 or visit www.nps.gov/edis. The Dover Area Historical Society invites members and friends to enjoy an afternoon of music by Dover native and renown pianist, Henry Shapiro at the Museum House, 55 West Blackwell Street, Dover, NJ from 2:00 - 4:00 pm. Mr. Shapiro, who is 96 years of age, was born in Dover on September 13, 1920. He began playing the piano at age 5 and professionally when he was 13. When he was 16, he had his own big band that played at many dance clubs in Northern New Jersey, especially around Lake Hopatcong. Mr. Shapiro studied jazz improvisation and music theory in New York City until his studies were interrupted by World War II. He served as an Army Air Corp. Captain in the South Pacific. Upon his return to Dover, he worked in his parents' retail store prior to opening his own stores in Franklin and Sparta. Also, he continued his music career on nights and weekends until moving to Florida over 30 years ago. He continued to play in clubs and restaurants along the Florida Gulf Coast until moving back to Morris County three years ago. Mr. Shapiro still performs regularly in various area venues, including the Upstream Grill in Jefferson Township, next to the very spot where he first played professionally 83 years ago. The Dover Area Historical Society hopes you can join us for a delightful afternoon of music and a tour of our museum. For more information, call 973-361-3525 or visit www.dovernjhistory.org. Ringwood Manor is excited to announce the return of the Antiques & Vintage Fair on Sunday from 10:00 am - 5:00 pm! JC Promotions, Inc. is again bringing their antique & vintage marketplace to the historic site for the third year in a row. 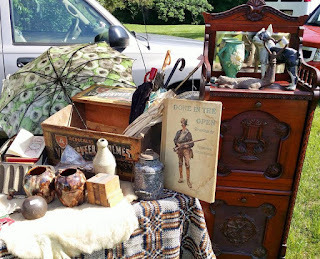 Collectors, treasure hunters, and decorators can spend the day shopping for their favorite antiques from a variety of vendors while surrounded by the beautiful and historic grounds of Ringwood Manor. The marketplace will feature vendors selling antiques, collectibles, and vintage items such as coins, US & World stamps, comic books, toys, military items, currency, trains, sports & non-sports cards from the early 20th century, watches, clocks, jewelry, furniture, records, and more! The North Jersey Highlands Historical Society will be selling both new and historic books, and the Ringwood Manor Association of the Arts will have their art gallery open for viewing. Every visitor will be able to find the unique treasure to add to their collection! While you shop, enjoy live performances from jazz & acoustic musicians. After working up an appetite, grab a tasty treat from the variety of gourmet food trucks on site serving empanadas, soups, lobster rolls, ice cream, waffles and more. There is no cost to enter the antiques & vintage marketplace, but there is a $5 per car in-state and $7 per car out-of-state parking fee to enter Ringwood State Park. And while you are at the fair, find out the value of your own antiques! Certified appraiser Jon Felz of RMZ Fine Arts & Antiques will be performing verbal appraisals between 11:00 am and 4:00 pm. Mr. Felz has more than 30 years of experience as an appraiser and selling antiques at auction. He will look at any and all items with the exception of antiquities (items more than 700 years old) for $10 an item, no more than 2 items per person. No appointments are necessary. Proceeds from the antiques appraisal will benefit the preservation of Ringwood Manor and its collections. Bring your antiques, garage sales finds, and inherited antiques to see if they are your ticket to an early retirement! Ringwood Manor will be available to the public in a self-guided, open house format the day of the antiques & vintage fair. The home was the summer estate of the Cooper-Hewitt family and has been designated a National Historic Landmark. 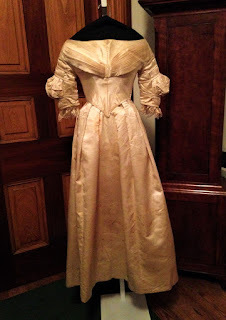 Constructed between 1807 and 1910 and given to the State of NJ in 1938, the Victorian mansion contains 51 rooms and all the original belongings of the family. The surrounding property was part of their historic estate and contains various gardens, outbuildings, and historic objects. Visitors may view 30 of the fully furnished rooms and are given information on the history of the spaces and objects. The fee to enter Ringwood Manor is $3 for adults, $1 for children ages 6 to 12, and children ages 5 and under are free. The rain date is June 18. Ringwood Manor is located at 1304 Sloatsburg Road, Ringwood NJ. For more information, call 973-962-2240 or visit www.ringwoodmanor.org. In celebration of the 125th anniversary of the NSCDA-NJ Dames memorabilia will be on display on Sunday from 1:00 - 4:00 pm. Documents, pins, and other Dames' artifacts will be on display. We will also be presenting Marie Antoinette Quimby, whose charitable work and civic commitment exemplifies the mission of the NSCDA. Ms. Quimby served as president of the Women's Branch of the New Jersey Historical Society, a member of the Relief Association, as well as a member of the Crazy Jane Society - an organization devoted to helping indigent women. Admission is free. A free-will donation is welcome in support of the museum. Reservations are recommended. Peachfield is located at 180 Burrs Road Westampton, NJ. For more information and to reserve a seat, call 609-267-6996 or e-mail colonialdamesnj@comcast.net. The Pascack Historical Society (PHS) will share its unusual collection of coins and currency with the public when it presents, "PHS: Numismatic Treasures" on Sunday at 2:00 pm. Guest speaker Paul Turdo has been a River Vale resident for 42 years. He is the PHS's Curator of Currency, the past president of the Northern Valley Coin Club and presently serves as an officer of the newly formed River Vale Coin and Collectibles Club. According to the speaker, he will show a variety of the society's currency collection, including Colonial and Revolutionary War money including an Eighteen Pence note signed in March, 1776 by John Hart, one of New Jersey's five signers of the Declaration of Independence. Recently Turdo discovered a file containing two yellow cardboard tickets, similar to ones you would buy in a raffle today. They turned out to be very rare Sutler Fifty Cts., 11th Mass. Vol. money used by Civil War soldiers to purchase items from traveling vendors (sutlers) that sold needed items not supplied by the government. Visitors are encouraged to bring currency that they might have questions about. The speaker will be happy to review currency for its historical value but will not give estimates of its value. The Pascack Historical Society is located at 19 Ridge Avenue, Park Ridge, NJ. There is no admission cost for the event. Children welcomed when accompanied by an adult. A question and answer period will follow the talk. Complimentary coffee and homemade cake. 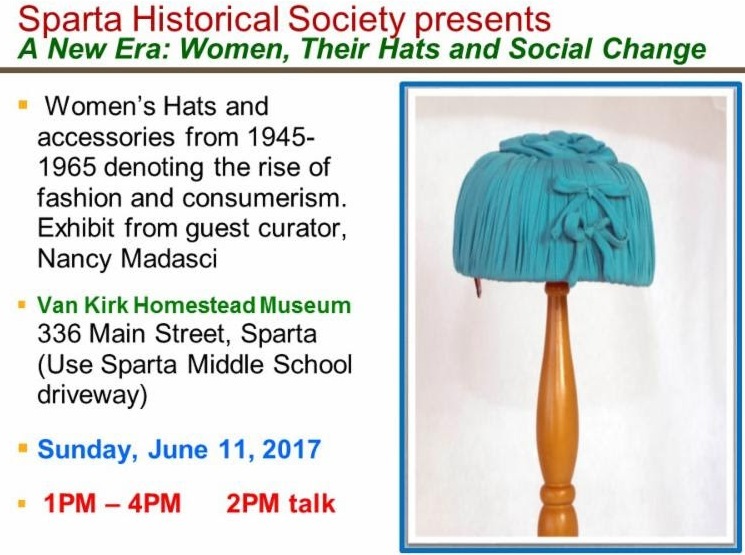 For more information, call 201-573-0307 or visit www.pascackhistoricalsociety.org. The Morris County Historical Society, founded in 1946, is a member-supported, 501(c)3 non-profit organization. Acorn Hall, an Italianate Villa, is located at 68 Morris Avenue, Morristown, NJ. For more information, call 973-267-3465 or visit www.morriscountyhistory.org. Experience rarely seen weaponry from Morris County Historical Society's extensive militaria collection in Sabers, Swords, Guns, and Glory: Militaria in Morris County, on display at Acorn Hall through Sunday, July 30, 2017. The exhibit spans more than two centuries of American military history and features a Revolutionary War saber, 1862 Springfield rifle, 19th-century Kentucky long rifle, Civil War munitions and accoutrements, military uniforms from the 20th century, and numerous medals and commendations earned by local soldiers and veterans. 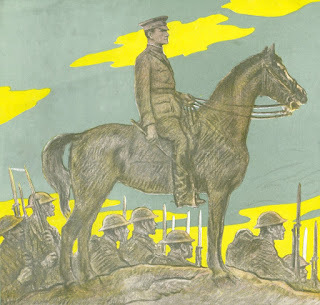 The exhibit also highlights the weapons and technology used in World War I and II, and the new forms of warfare introduced during the Cold War. This exhibit is held in conjunction with 1917: World War, Women's Rights, and Weaponry Sciences, extended through Sunday, July 2, 2017. 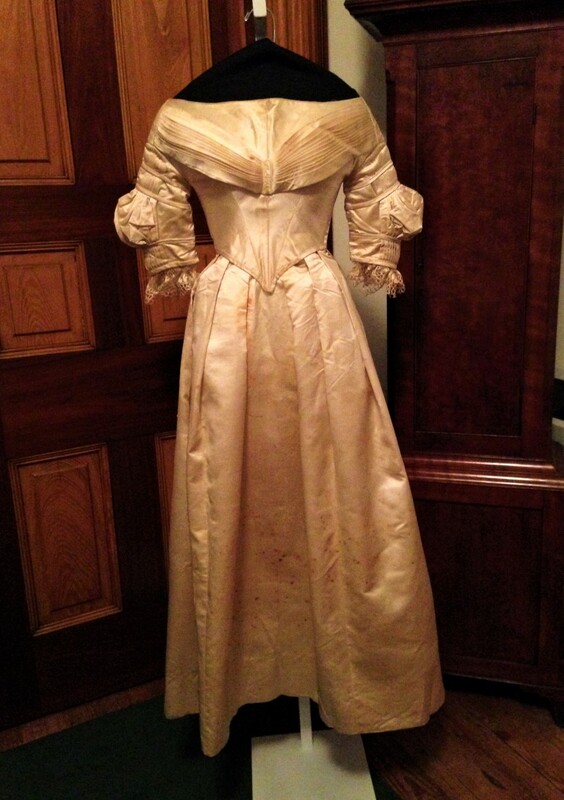 The Morris County Historical Society at Acorn Hall is located at 68 Morris Avenue in Morristown, NJ. It is open on Wednesdays and Thursdays from 11:00 am - 4:00 pm, and on Sundays from 1:00 - 4:00 pm. For a tour of Acorn Hall and to see both exhibits is $6 for adults, $5 for seniors, $3 for students, and Free for children under age 12 and MCHS members. To see the exhibits, only, is one half of the price of admission. For more information, call 973-267-3465 or visit www.morriscountyhistory.org.